Leveraging on our enriched industry experience, we are engaged in offering a wide range of Pipeline Systems. This Pipeline System is extensively used to supply various Gases, Including Oxygen, Vacuum, Nitrous Oxide, Compressed Air, And Surgical Air, And Nitrogen And Carbon Di-oxide. We take into account the diverse requirements of our international clients and offer the suitable range of Pipeline Systems. 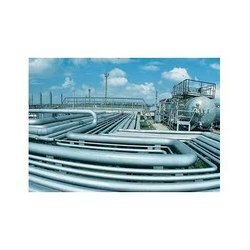 Looking for Pipeline System ?